Easily portable, ready for spot checks or continuous use, this battery powered portable hygrometer indicates both dewpoint temperatures and water vapour to less than one part per million, on the large meter dial. 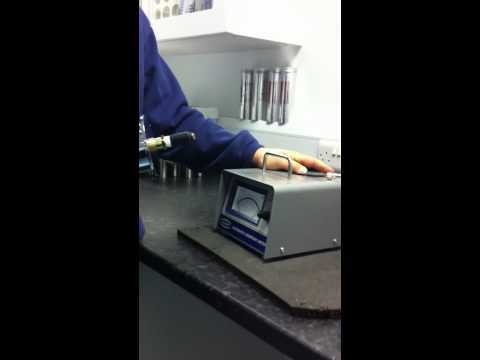 As the reading is specific to water vapour, calibration is accurate for different gases. Accuracy is guaranteed to better than one part in a million of moisture in very dry air or gas. The key to the SHAW automatic dewpoint meter is the unique desiccant head and sensor assembly which allows the dewpoint sensor to be kept dry between tests, ensuring that the instrument is always available for rapid spot checks of moisture in gases and compressed air. Note the absence of knobs, calibrating, cooling and servicing as required by some other methods and the automatic dry down measuring head which ensures quick response from the sensor. The key to the SADP portable hygrometer is the SHAW moisture sensor which allows a rapid one second response time from dry to wet. 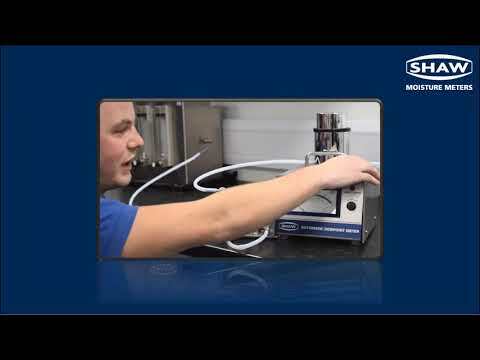 The SADP instrument is simple to use, blocking the outlet with a finger for a moment raises the measurement head, allowing a speedy measurement of the sample gas. Includes flow meter, filter unit and pressure regulator, mounts on the side of the SADP. Includes flow meter and pressure regulator and mounts on top of the SADP.